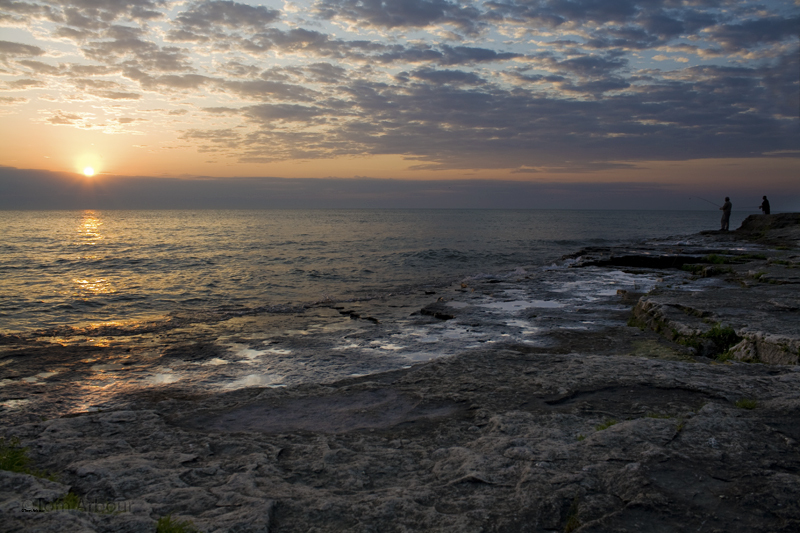 Dawn at the Marblehead Peninsula, Lake Erie, Ohio. I talked to these two men- they were casting with heavy floats far out into the water, catching freshwater drum, or sheepshead, and also yellow perch. They reeled in a few fish while I was here, but they said that, in the past, they have caught fish with every cast. I'd love to go back up to Lake Erie and catch perch. I did it when I was a little girl , camping up there, with my dad, and it was so much fun, and really tasty! Tom: You know how it goes, a day of fishing is better then any day of work. Just simply lovely and tranquil. I can't believe you only got three comments on this...it is just wonderful. I always wonder when I see photos like this and not many comments. Rose ~ So often I view these lovely photos of others and don't leave comments, because I sometimes think, are they really interested in comments. I just enjoy the beauty of it all. I guess I need to think about that some more and leave more comments.